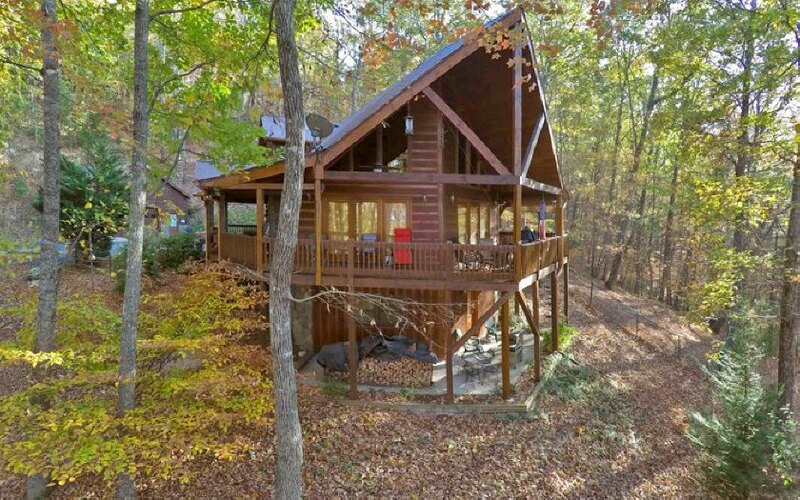 Gorgeous Prow-front Spacious Chalet on top of a beautiful mountain in the heart of the Smokies Mountains. Close to everything, downtown Blue Ridge, whitewater rafting, tubing, the new casino, App. Trail, great lakes, rivers, waterfalls and more! Home offers 3 levels of rustic luxury. Vaulted ceilings, wonderful wood throughout, cool covered decking among the trees. Two jetted tubs, granite kitchen, wrap around decks, and the best built garage, extra tall, all solid cement walls, oversized! Too much to list. YOU MUST SEE THIS ONE!